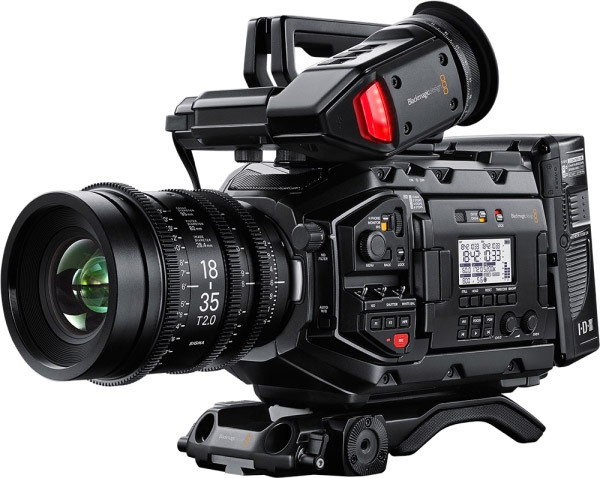 The new firmware update via Blackmagic Camera Setup 6.0 for the URSA Mini Pro brings a lot of new features - first and foremost the support of ISO 3200. It supports the extended ISO range as well as the color and gamma options of DaVinci Resolve 15.2 or higher. In addition, the update brings new LUTs, markers for 2:1 monitoring, a new way to synchronize timecode via SDI input, support for HDR metadata via SDI , improvements to support for timecode, metadata and more. For the URSA (Studio) viewfinder, the update includes support for Generation 4 Color Science, 2:1 frame guides for monitoring and improved anamorphic frame guides. For the other Blackmagic cameras, Camera Setup 6.0 doesn&t bring new features. The update can be downloaded for free at here.